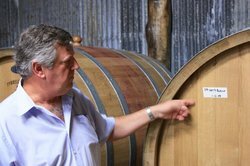 Tours from Hunter Valley Wine Tasting Tours tend to sell out - travelers recommend booking in advance! Such a nice day in the valley with nice wine tasting and Bill our driver who explained us a lot about the history and the wines. Thank you for your review. 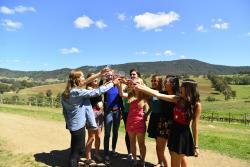 We are delighted you had a great day in the Hunter Valley. Bill is a great driver, full of knowledge and good humour. 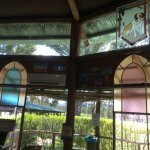 It is a great place to spend time during the holidays. Hope to see you on tour again! I joined a tour on the 18th November. Pick up in Sydney was punctual and hassle free. Our driver Chris was great company with excellent local knowledge and really encouraged everyone to introduce themselves and get to know each other - a boon for the solo traveller of which there were a few in our group. Each of the wineries / cellar doors were welcoming and informative and I certainly learnt a lot on the trip. I did not have lunch but the lunch stop itself - at a Matilda Bay brewpub - was excellent and the food looked great. Our cheese tasting was a little chaotic as it was shared with a rather boisterous hen party but that just added to the fun- and the cheeses were great. Finally a word on that flat tyre. On the way to the second winery we had a blowout. In my view you judge a company by how they handle adversity. Within 20 minutes a replacement bus arrived to take us to the next stop while the wheel was replaced. By the time we finished there Chris was back with the original bus to take us to the next one. What could have been a real downer was managed without any disruption - excellent. Thank you for your review - it was an eventful day for you! Chris is a great driver and guide - he loves for everyone to have a comfortable and enjoyable day. We pride our selves on excellent customer service. We work as a team to keep the day flowing - thank you for mentioning the tyre and the remedy! Hope to see you on tour with us in the future. 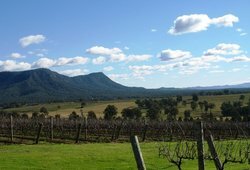 Scenic Hunter Valley is a pleasant place to enjoy your wine and cheese. Two hours by car from the city, we went on a Monday so that we have the full attention of the wine tasting staff Saturday apparently is there busiest day. For a day trip, able to wine taste four wineries and had lunch at one of their several restaurants that offers a variety of food and drinks. Enjoying the view, taking photographs in between trips to wineries. Their cheeses are excellent but expensive, have tried chocolates from the chocolate factory but not up to my expectation. Would definitely come back and visit other wineries and restaurants. We loved our day. Bill was a fabulous guide. He was there waiting for us and did a great job looking after us. The coach was very comfortable and clean. We couldn’t have asked for more. Bill did everything he could to make sure we had a really memorable and enjoyable experience. He was very knowledgeable and entertaining. We visited 4 outstanding Winery’s and two other shops in the most beautiful countryside. We Loved the freebie samples and even saw some Kangaroos! A really good day out. We came back with bottles of fabulous wine bought at a really good price at the cellar door. I would highly recommend this trip. Participated in a wine tasting tour of several wineries in the Hunter Valley; a great day - started with a coach pick up in Sydney near Central raiilway. Our host for the day told us what we would do during the day and that along the way on Tourist Drive 33, The Great North Road, we would have a stop off so that we could explore a little village along the way - Wollombi - just delightful and will definitely go back and stay for a weekend. 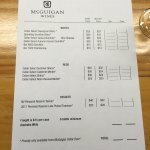 Stopped at a couple of wineries and had private taste testings hosted by winery staff. None of the stops at the wineries were rushed which was fantastic - plenty of time to taste and purchase. Lunch was in a lovely restaurant in the Polkobin area and we had the chance to go to a Chocolate Fair in the area - a lovely way to finish our wine tasting. All in all a fantastic day out with friends. Peter, our guide, was great. Very thorough in his explanations and exposing us to the area. 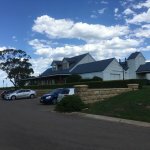 Visited a good variety of cellar doors, wineries and chocolate shop. Fun group that we ended up getting to know. 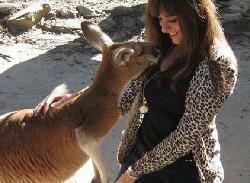 Saw some kangaroos. 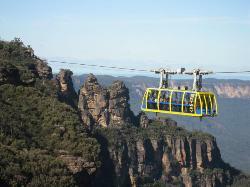 Wonderful, comfortable trip, and great value for the money. Thank you for taking the time to comment - I will pass along to Peter. He is a great driver and guide - we are very fortunate to have him on board with us. So pleased you enjoyed your day and hope we may see you again on tour when you visit next.